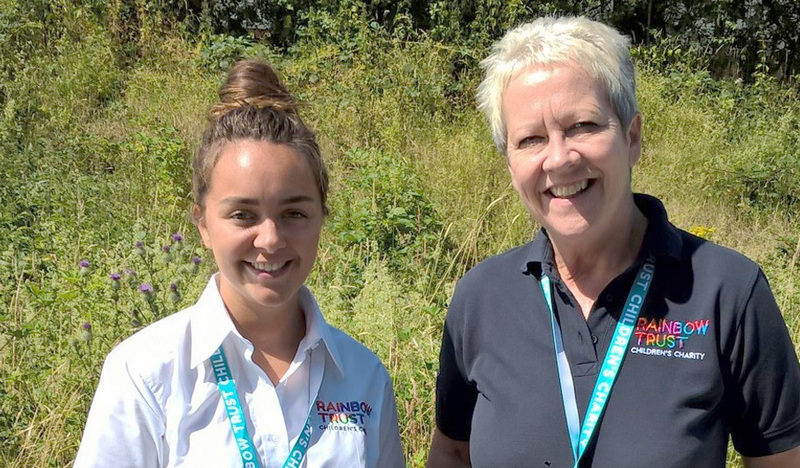 Rainbow Trust has welcomed two new Family Support Workers to the North West team to cover Cumbria, providing much needed support to families who have a child with a life threatening illness in this area. “The addition of Debbie Frith from Carnforth and Sophie Harris from Carlisle is a much needed to boost to the team and means we are now in a position to take on many more families in Cumbria who have a seriously ill child. “I am so glad I applied for the job. I kept being drawn to the advert and after seeing videos of the work Rainbow Trust does on the charity’s website I understood the importance of Family Support Workers. “The work we do can seem small and insignificant to an outsider, but for the families we help, it can be life-changing. Due to the distances involved, families are often split, with one or both parents having to spend long stretches at hospital with their sick child and unable to get home for days or sometimes weeks. “I feel so well supported in the role of Family Support Worker. It’s my first full time job but the advice from other members of the Family Support Team and the training provided has been amazing. Both Debbie and Sophie are looking forward to helping more families across Cumbria and are currently working hard with referrers in the community such as the Community Nursing Teams, CLIC Sargent, hospitals and hospices. Rainbow Trust also accepts self-referrals.